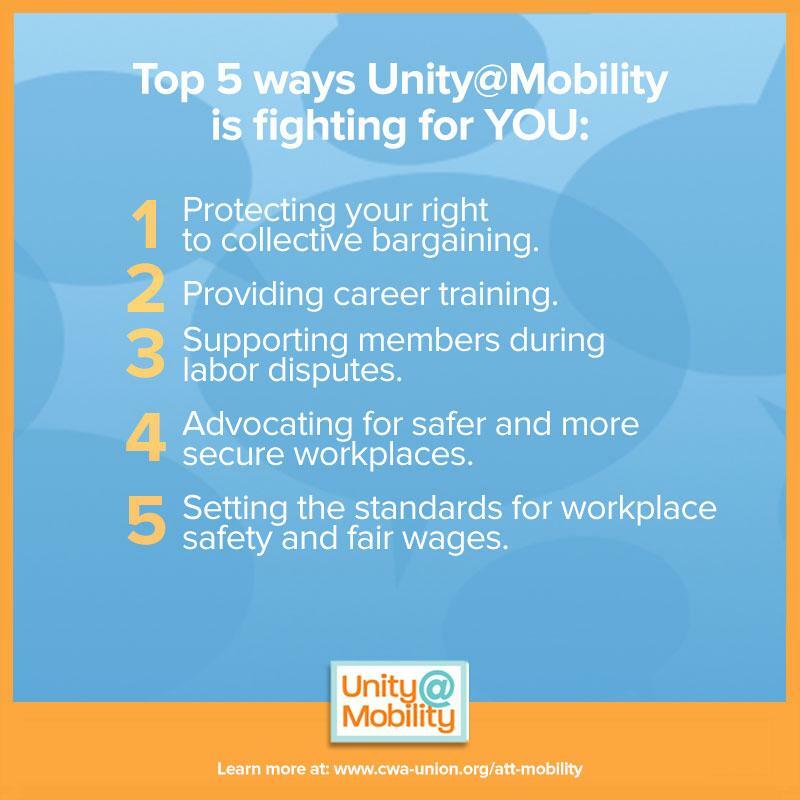 Unity@Mobility will be offering 15 scholarships for Mobility members to this year’s CWA Wireless Leadership Conference. 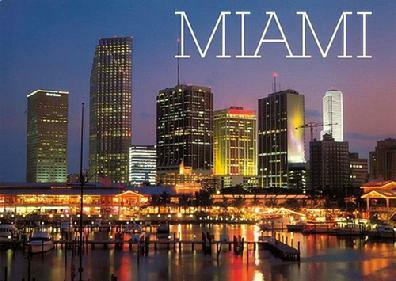 This year’s conference will be held in the sunny Miami, Florida from January 2-5, 2019. 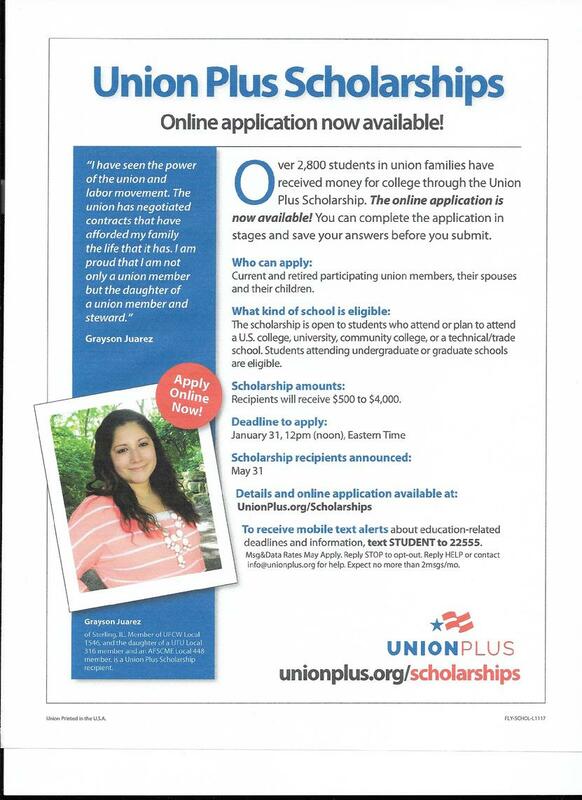 Scholarships cover the cost of lost time wages, travel, hotel accommodations, registration fee and meals for each winner. This is your opportunity to connect with other wireless workers from around the country, learn from each other, develop skills to take back to your Local and help grow the Union in your workplace! Applications are due on November 5, 2018. Winners will be announced on November 21st, so you will have time to get off work! For Details, please see the below links. We now have an app available. Please do not contact the Local via company email. We will not be able to respond. Please use only personal email (ie: AOL, yahoo, msn, etc.). If you do not have personal email, please contact the Local or your representative via phone. If you need to file a grievance, please go the "Your Rights" section on the left. Then go to "Grievance Form" on the top. Fill out the form and submit. If you need to change your address, please go to "Contact Us" on the left. then go to "Address Change". You may also use this form for name changes. Joe Smith started his day early, having set his alarm clock (MADE IN JAPAN) for 6 a.m. While his coffee pot (MADE IN CHINA) was perking, he shaved with his electric razor (MADE IN HONG KONG). He put on a dress shirt (MADE IN SRI LANKA), designer jeans (MADE IN SINGAPORE), and tennis shoes (MADE IN KOREA). After cooking his breakfast in his new electric skillet (MADE IN INDIA), he sat down with his calculator (MADE IN MEXICO) to see how much he could spend today. After setting his watch (MADE IN TAIWAN) to the radio (MADE IN INDIA), he got into his car (MADE IN GERMANY) and continued his search for a good paying AMERICAN JOB. The advantages you enjoy as a union member - a guaranteed wage rate, protection against unfair treatment, paid vacations and holidays, health and wealth benefits and a pension plan were not gifts from management. Your employer may try to give you the idea that your pay and benefits are the result of management generosity (a contradiction in terms). Don't be fooled. CWA members have struggled long and hard to achieve what we have today. Sometimes they have been forced to strike - meaning weeks of hardship for themselves and their families - to gain the things you now enjoy. YOUR EMPLOYER HAS NEVER AGREED TO ANYTHING OUT OF THE GOODNESS OF ITS HEART! IT'S THE UNION, NOT YOUR EMPLOYER, who is responsible for what you have today. It's the union, with your support that will be responsible for all the gains you make in the future.